The Metropolitan Society of Kardamylians, Inc. was established in 1935 under the unofficial Greek name of "Αλληλοβοηθητικη Ενωσης Καρδαμυλα - Χιος 'Η ΠΡΟΟΔΟΣ'" (translation "Kardamylian Brotherhood for Progress"). Later in 1937 re-organized with the name "Kardamylian League Inc". Since 1977, the organization's official name is Metropolitan Society of Kardamylians, Inc. The Metropolitan Society of Kardamylians, Inc. is a not for profit organization based in Brooklyn, NY, with members throughout the United States and Canada. Its purpose originally was to help the Kardamylian immigrants to dial with the Immigration and Naturalization and to find them work. Today the Organization's activities consist of receiving and collecting funds for charitable and educational purposes and to pass on to its new young members the traditions, history and customs of the ancestral home, Kardamyla and assure the continuance of the educational process of the history of Kardamyla. During the war, the Organization helped the war effort by aiding the Red Cross and purchasing US Government War Bonds. 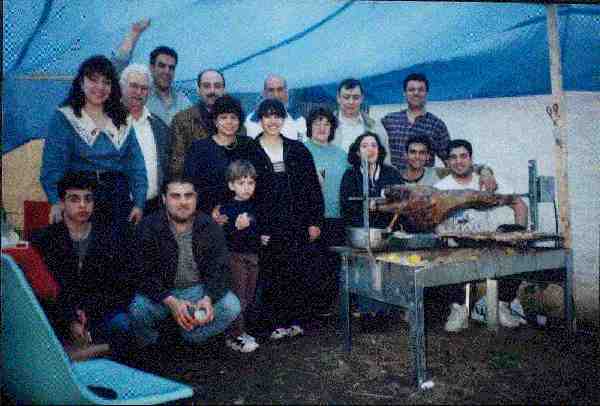 After the war, the Organization took part in the re-building of Kardamyla, Chios, and Greece in general. The economic support sent to Kardamyla helped re-build the elementary schools and the Livanion High School there. In 1947, the Tuberculosis Clinic of Chios, the Water Pump station of Ano Kardamyla, the Church of Holy Cross "Timios Stavros" and others were improved with the generous help of the Society. Over the years, the Society continued to economically support Kardamyla by expanding streets in Ano Kardamyla, expanding the Cemetery of Agios Georgios in Ano Kardamyla, building public restrooms in Ano and Kato Kardamyla, etc. Most importantly, it has financially helped and continues to do so up to this day many Kardamylian families who were in desperate need. Since the establishment of the Chian Federation in 1974, our Society has actively supported its efforts to improve the image of Hellenism within the American community. Members of our Society served on the Executive Board of the Chian Federation. 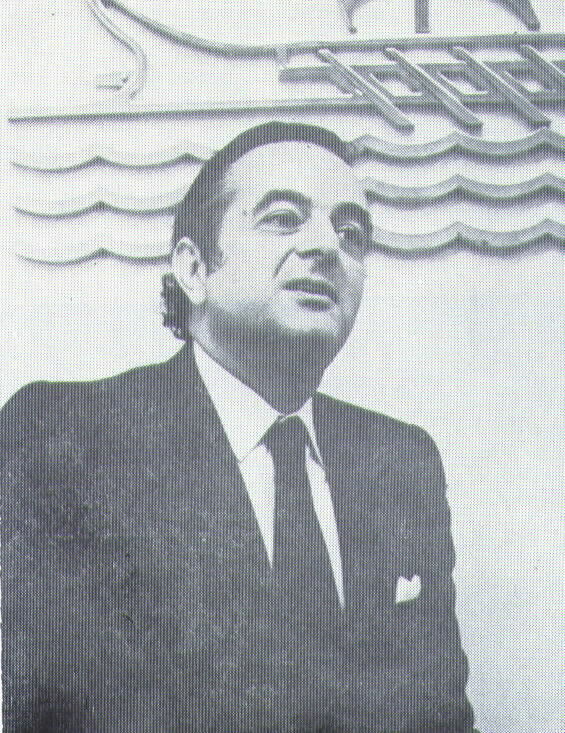 Mr. George Livanos served as President for ten years and until his death in 1997, he was Honorary President. In 1979, our organization acquired its own building which is located in the center of the Kardamylian community of Bay Ridge, Brooklyn at 7919 3rd Avenue. The building is known to all of us as the "Kardamylitiko Spiti". In 1985, the organization continued to expand by publishing a book with the addresses of most of the Kardamylians in the USA and Canada. In 1990 the organization purchased and sent to the Municipality of Kardamyla, a computer system network. 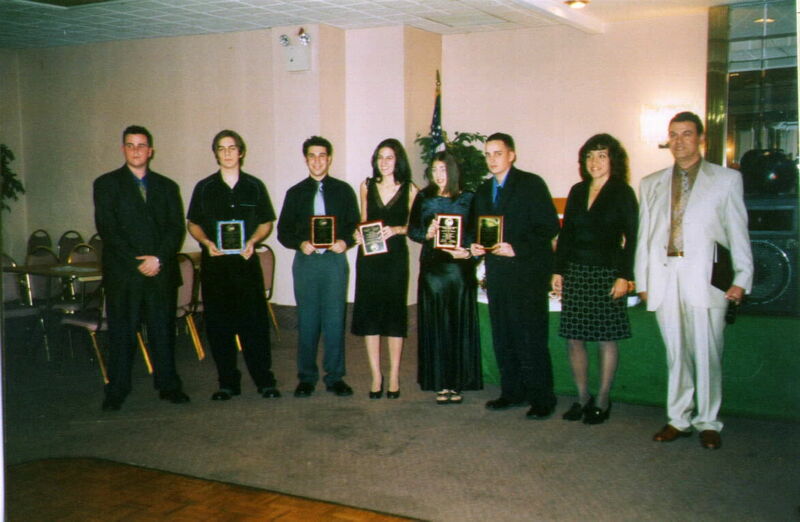 In 1992, the organization established the Kardamylian Achievement Awards to recognize successful Kardamylians and friends of Kardamyla. The first recipient of this Award was the US Army General William Gus Pagonis whose family originated from Kardamyla. General Pagonis, led the US Army Supply Command during the Gulf War. The same year it organized a youth Dance group wearing our traditional Kardamylian native dress and performing at our Dinner Dance and festival events. In 1993, the Library was established with a rich selection of books. The books consisted of Kardamylian, Chian, and Greek - American themes varying from entertainment, history, art, documentaries etc. In 1996, the library committee organized the library by publishing a catalog with short descriptions of the books, newspapers, magazines, and other materials contained in the library. The Library was then opened for public use on weekly basis and allowed members to borrow books by mail. In 1996, the Scholarship program was established. Since 1996 the organization has awarded over $30,000 to Kardamylian College students, to high school students who have successfully completed Greek Studies programs and to graduates of the Livanion Maritime High School in Kardamyla. In 1998, the organization established a presence on the Internet. Internet site, www kardamyla.org . contains useful information for its members and about the organization's history and activities. In 2000, the organization translated to English and published the book Kardamyla of Chios, History – Sites – Travel. Every summer since 2001 the organization organizes an event to support the Nursing Home “Agia Marina” in Kardamyla. We take pride in our organization's history and development over the years. We currently have a very large membership list and its constantly growing. We encourage Kardamylians to join and share with us their interests and concerns for the land that unites us all.We do this by opening our «spiti» on a weekly basis and inviting our members so we can speak about the wonderful improvements that have been made and continue to be made to the building. We speak about our children, our futures, our families, etc. and of course we talk about Kardamyla. The Annual Dinner / Achievement Award Dance is usually taking place the first Saturday of March each year. It is a formal event during which the organization honors a successful Kardamylian with the Kardamylian Achievement Award. The Glendi / Student Scholarship Awards Night takes place in November each year and during which we honor our students who have excellent during the past school year. The New Jersey picnic is held on the first Sunday each June in Alpine Basin of New Jersey on the Hudson River. The Long Island picnic is held the second Sunday every September at the beautiful Eisenhower Park in Heamstead LI. The Easter Celebration is held the Sunday following the Easter Sunday at the Kardamylian House in Brooklyn. The Three Hierarchs' and Greek Letters' Day takes place the last Sunday of each January. The same day the society cuts the traditional Bassilopita and invites a guest speaker to enlighten us on the history of our language, government, schools and other various topics of interest. The General Assembly Meeting takes place the second Sunday of October each year. During this meeting, the President and the Executive Board report to their members the economic as well as the cultural state of the organization.